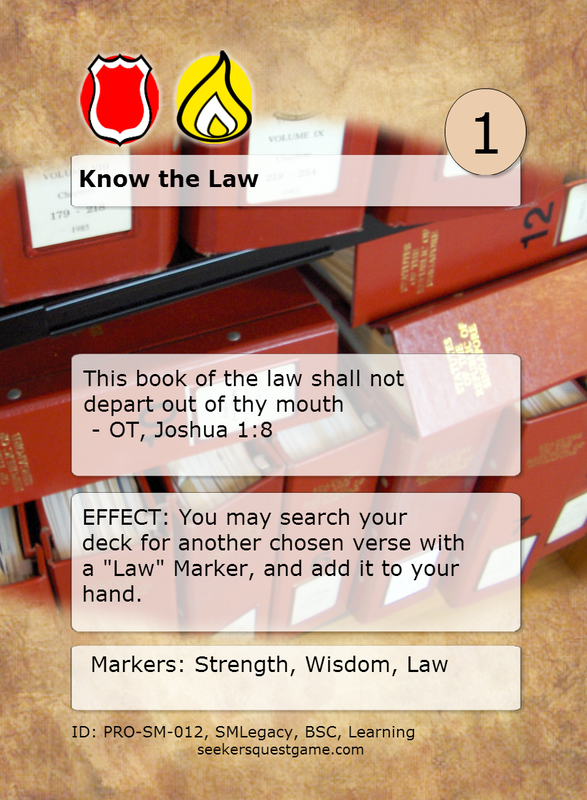 Verse Rule: EFFECT: You may search your deck for another chosen verse with a "Law" Marker, and add it to your hand. The early books of the Old Testament are often referred to as “The Law and The Prophets”. 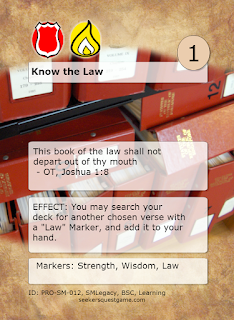 This verse is one of the great Prophets, Joshua, declaring the importance of the Law. Many years and lives later, the Law would become twisted and overly important, and Jesus would fulfil the law and teach its deeper meaning.